When it comes to writing about Major League Soccer, there is, for some reason, a universal and overwhelming urge to break the North American circuit’s brief history into distinct eras. The first decade or so of the league’s existence is considered MLS 1.0, when it grappled for traction and solvency. Then, following David Beckham’s arrival in 2007, MLS 2.0 dawned. Soccer-specific stadiums were built, more big names were lured and finances began to stabilize. After that, it gets fuzzier as teams pursued their own distinct strategies and some grew more ambitious than others. But on the eve of the 2019 season, the league’s 24th, which kicks off Saturday, it’s become evident that something fundamental has changed again. Because to the casual soccer fan, there are fewer recognizable names in the league than there have been in a long time. Yet MLS is also quite obviously in the best shape it’s ever been. This winter, Toronto FC and New York City FC unloaded Sebastian Giovinco and David Villa, respectively. They were a pair of transformational forwards for the league, who demonstrated that you could come stateside while in your prime and still compete for a place on a major national team – or even resurrect your international career, in Villa’s case with Spain. Between them, they won a pair of league MVP awards. Few of those pricey European household names that the league was once famous for attracting now remain. 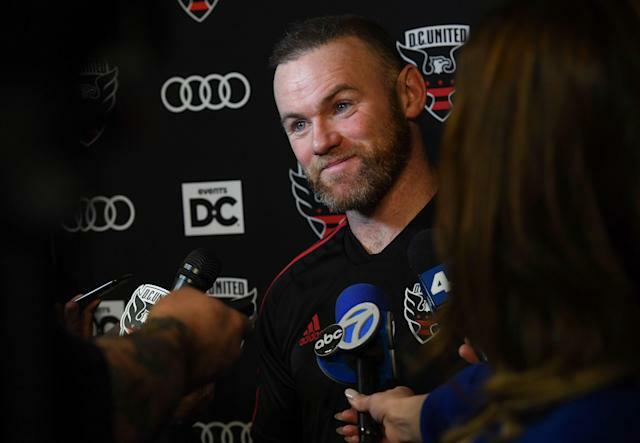 Wayne Rooney with D.C. United. Bastian Schweinsteiger with the Chicago Fire. Zlatan Ibrahimovic on the LA Galaxy. That’s about it. The most famous offseason arrivals were Portuguese winger Nani, formerly of Manchester United, to Orlando City and Mexican international Marco Fabian to the Philadelphia Union. And while both remain productive players who likely will make their teams better, neither is a name that moves the needle on the marketing side. And that’s all very much by design. For some time now, MLS has been moving away from its once-concerted effort to import big-name veterans in hopes of squeezing the last drops of relevance and credibility out of their wilting fame. The league has always done that, kicking off in 1996 with a few aging stars of the time, and deservedly earning the “retirement league” moniker. It created lopsided rosters, with wealthy world-beaters teaming up with marginal players who were barely scratching out a living, but the box-office and media benefits are undeniable. But then that just sort of stopped. Some of the newer teams, growing ever bolder and more sophisticated, never bothered with that old ploy. Instead, they invested in young talent, mostly from South America. And after a last wave of shiny veterans washed over the league a few years ago, the approach is now universally geared toward importing the best talent and the most upside, rather than the biggest names. In the league’s telling, that was a conscious and scientific decision. Research it commissioned when it changed the rules to accommodate signings like Beckham’s found that fans wanted big names back then. But in 2015, further study discovered that MLS’s audience had grown far more concerned with seeing better soccer, regardless of who was delivering it, than well-known players. So, slowly but surely, the model shifted. The result is now quite apparent. Since 2015, the average age of the league’s new signings has fallen from about 27 to around 25. And the average age of Designated Players, the successors of Beckham who barely count against the tight salary caps, has dropped from over 29 to 25 and a half. Meanwhile, MLS produces more goals, shots, shots on goal per game and completed passes in the final third than Europe’s legacy leagues, according to its own research. That doesn’t necessarily indicate good soccer, but at least suggests that an MLS game has become a very safe bet for seeing some good attacking action. And so the big signings of the past offseason will be unfamiliar to even the hardiest global soccer fan. Pity Martinez, the new Atlanta United midfielder, might be familiar after he won the instantly infamous 2018 edition of the Copa Libertadores with River Plate, yielding him the South American Player of the Year award. But new D.C. United signing Lucas Rodriguez surely isn’t. Neither is New York City FC’s big pickup, Alexandru Mitrita, poached from Romania. And be honest, had you really heard of Jan Gregus or Inbeom Hwang? But MLS isn’t that bothered about the big names anymore. It wants the big players. The ones who might become big names later on. And this pivot has paid dividends. 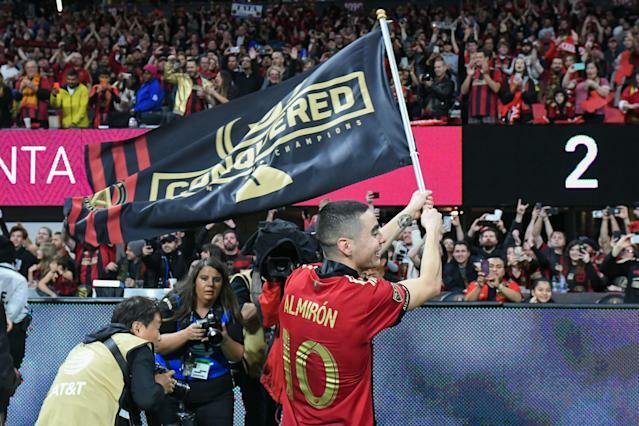 After two seasons, Atlanta sold young Paraguayan forward Miguel Almiron to the Premier League’s Newcastle United at a massive profit. He’s been an instant hit there, laying the groundwork for other MLS players to make that move. Bayern Munich poached Vancouver Whitecaps teenage prodigy Alphonso Davies and he’s projected for a long career with the German juggernauts. Paris Saint-Germain apparently made an aggressive bid for D.C.’s Luciano Acosta in January, only to be rebuffed. The league has finally found its place in the global marketplace for soccer talent, rather than being a strange outlier where the final fumes of a great career could be monetized one last time. MLS is a more traditional soccer league now, putting the quality of play first. And that’s the greatest sign of progress of all.